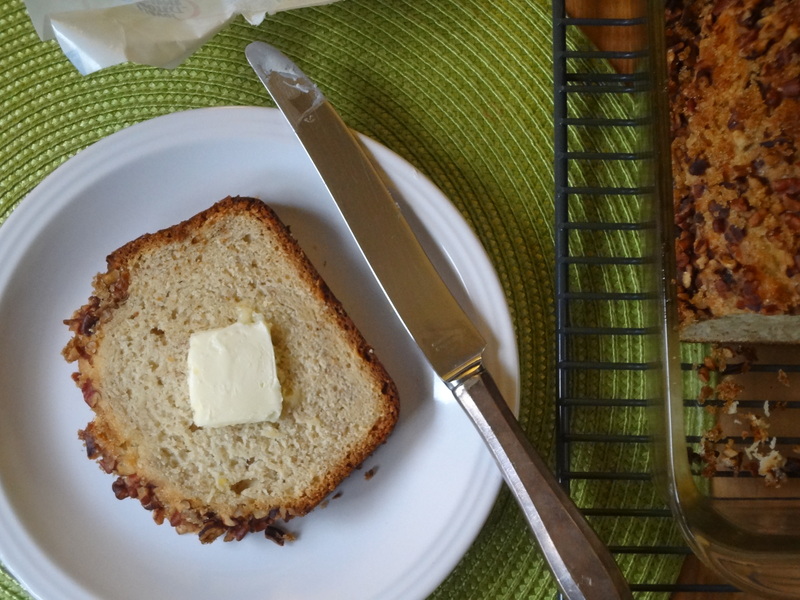 But whatever her trick, it taught me from a young age, that quality is always better than quantity.So when I came back from a weekend away, and discovered I had two perfectly icky bananas just begging to be made into bread, and cool breezes sweeping across Minnesota, I knew what had to be done. I mean, who am I to deny the baking deities their wishes? Blackened bananas and 60 degree weather? Don’t bother with the lightning bolts, I’ll take the hint! So I whipped up a batch of this amazing bread and put my own twist on it. Instead of mixing pecans into the batter, I tossed them in some brown sugar and used them to create a sweet and crunchy crust. Because if we’re going to eat our crusts, they might as well taste like sweet, crunchy goodness, amiright? 3. Add the dry ingredient mixture to the banana goo (technical term) in small batches, mixing after each addition. 4. Grease a 9 inch bread pan, and pour the batter into the pan. 5. In a small bowl, stir together the chopped pecans and brown sugar. Sprinkle the mix on top of the batter in the pan, pressing gently to make sure it sticks. 6. Bake for 65-70 minutes, or until a toothpick or cake tester inserted into the middle of the loaf comes out clean. Then cool on a wire rack until it’s time to eat! 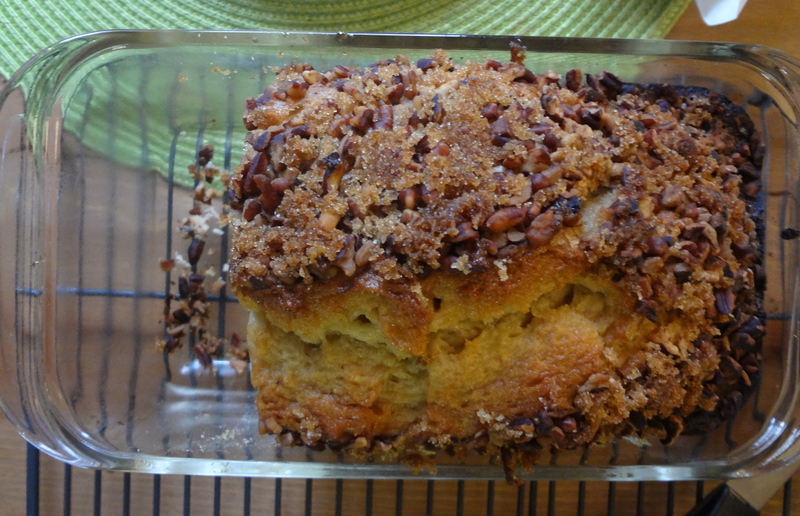 This entry was posted in Uncategorized and tagged Baking, banana, Banana Bread, Bread, Brown Sugar, Crust, Pecans, Quick and Easy, Snacks, Vegetarian by theculinarycapers. Bookmark the permalink.